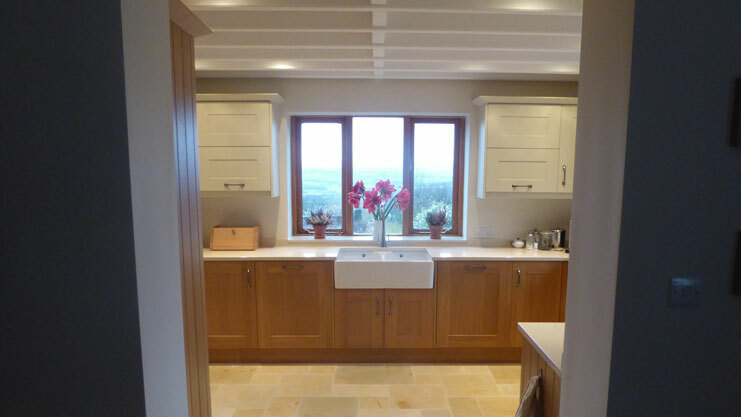 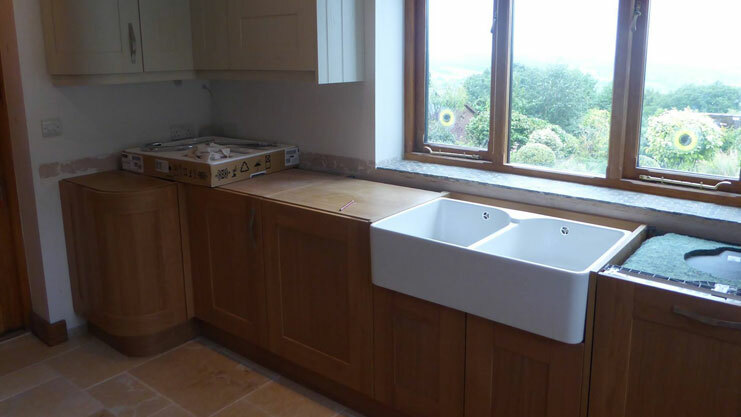 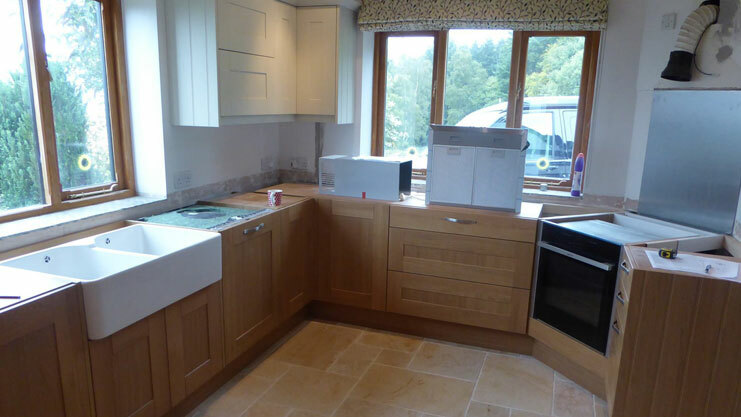 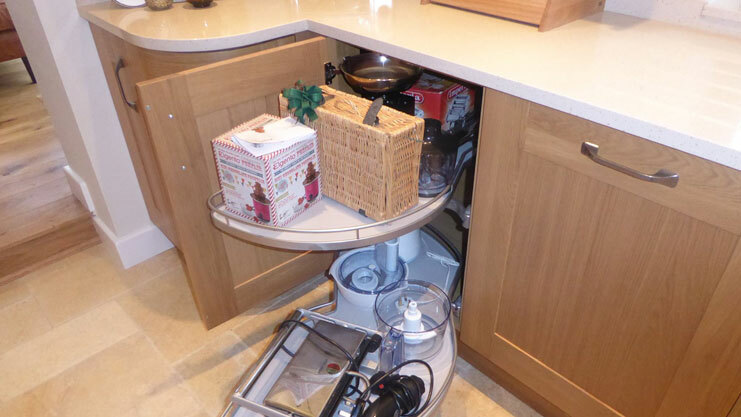 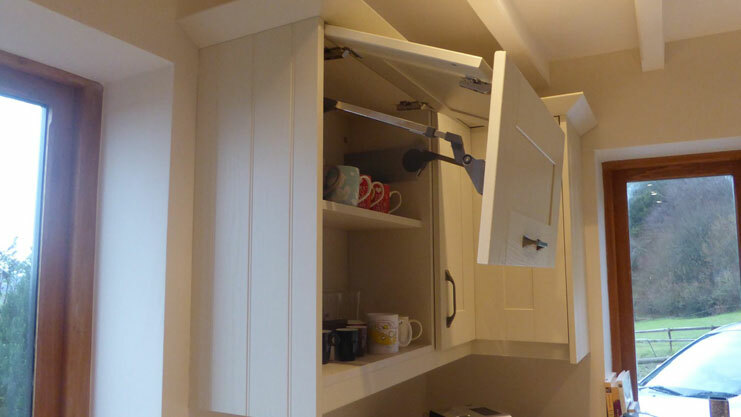 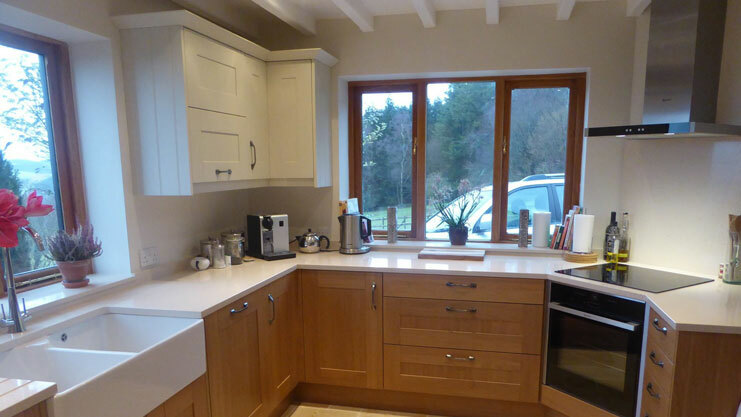 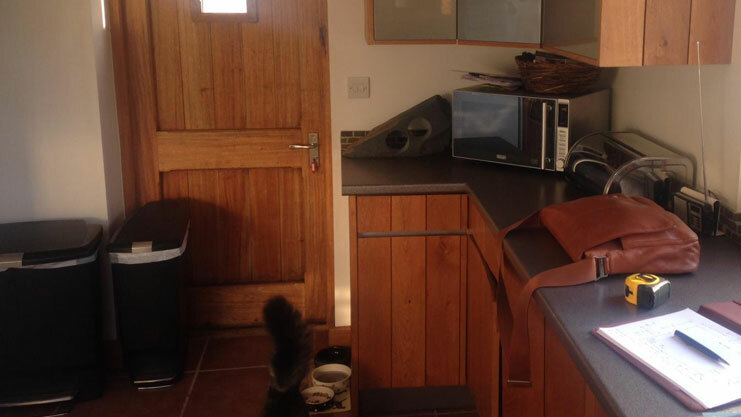 Our client living in an older property wanted a traditional kitchen yet with a contemporary twist. 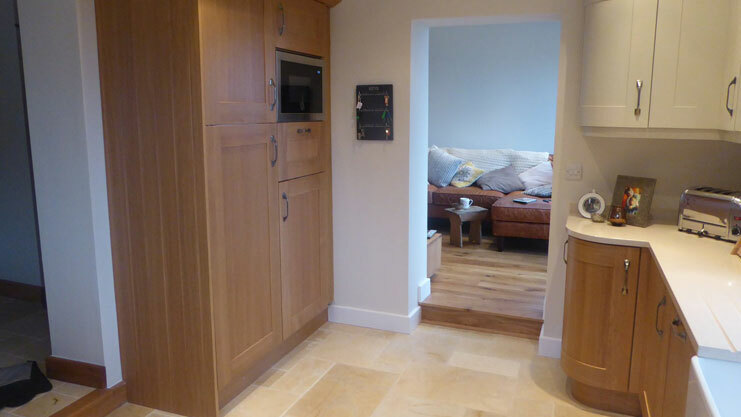 To suit the space we recommend our Painted Lincoln Oak range where we combined a natural oak door with a painted mussel oak door. 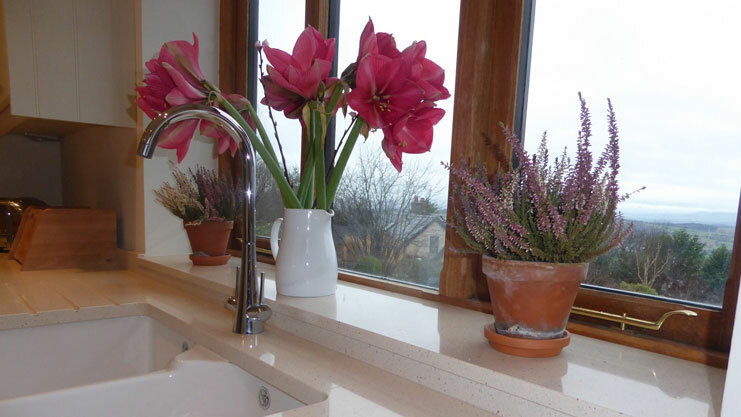 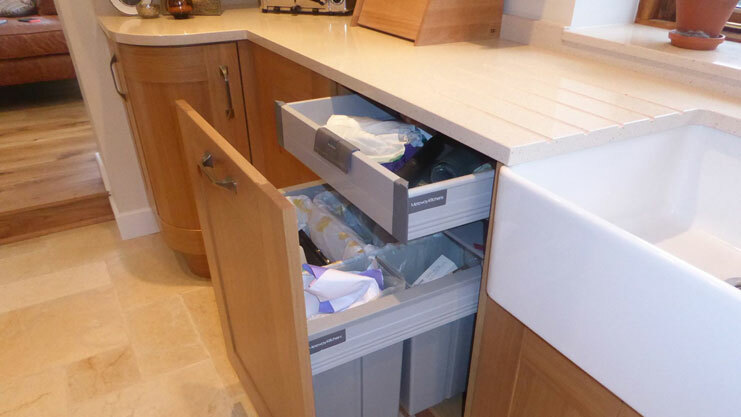 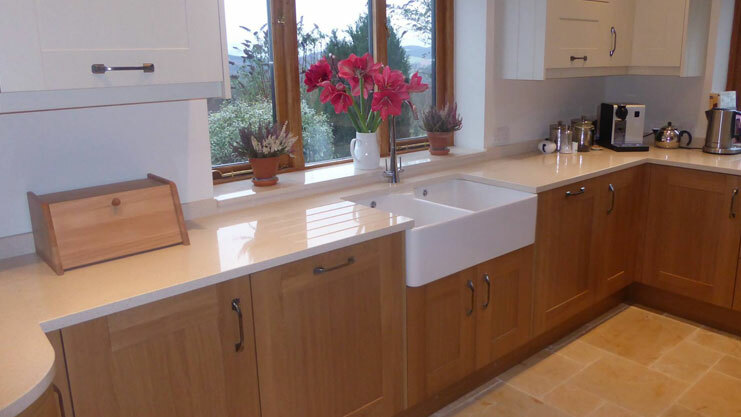 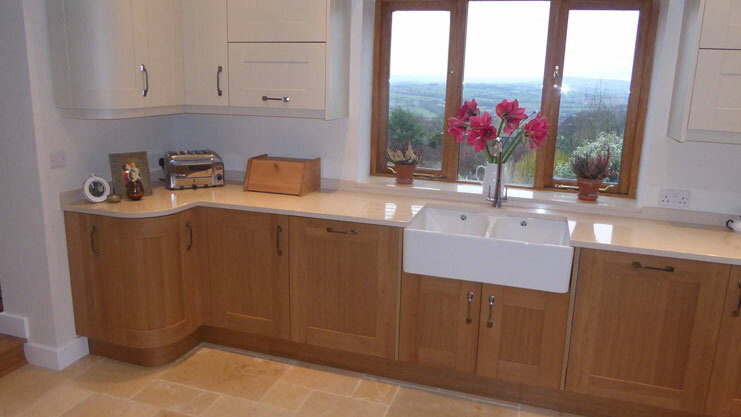 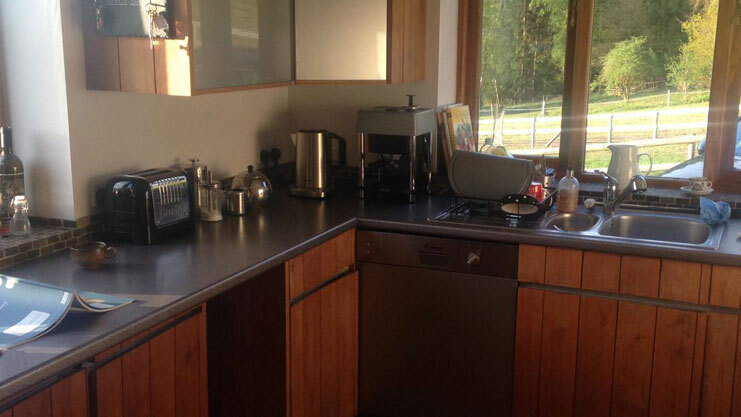 A modern quartz worktop was added with a contemporary Blanco tap and Neff appliances completed the look. 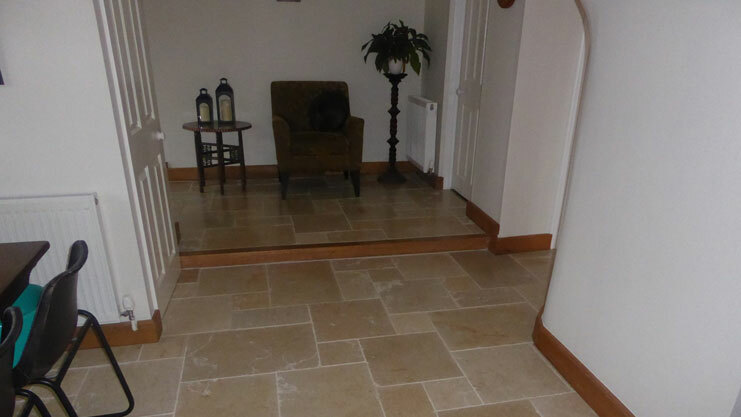 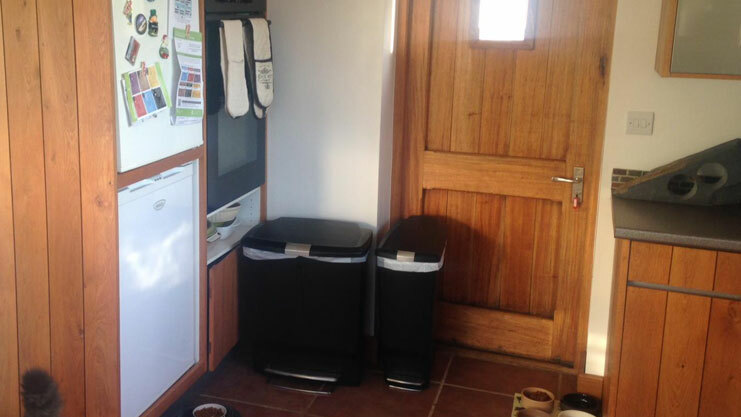 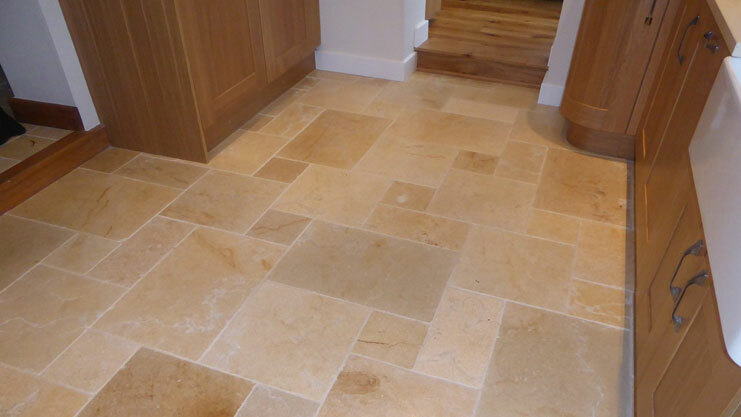 We also laid Natural flooring throughout which completed the character of the kitchen and living spaces.